Dr. Steven Van Scoyoc now welcomes new patients for tooth replacement with full-arch dental implants in Southern Pines, NC, with or without a referral. The board-certified periodontist uses advanced technology to address extensive tooth loss for patients choosing dental implants as an alternative to traditional dentures. Board-certified periodontist, Dr. Steven Van Scoyoc of Van Scoyoc Periodontics and Implants Center for Oral Health, welcomes new patients with missing teeth for full-arch dental implants in Southern Pines, NC. Extensive tooth loss is a serious health problem for many adults within the community. Dr. Van Scoyoc stresses the importance of replacing missing teeth, and offers full-arch dental implant solutions as an alternative to traditional dentures. He incorporates high-end technology into dental implant procedures to facilitate greater accuracy and predictable results. As the premier periodontics and implants center in Moore County, Dr. Van Scoyoc and his team bring highly specialized full-arch reconstruction services to local residents who suffer from tooth loss. “We take a lot of care and upfront planning for our patients who are going through full-arch reconstructions (with dental implants),” explains Dr. Van Scoyoc. The team uses X-Nav X-Guide™ software and Carestream 9300 cone beam computed tomography 3D imaging to plan and perform computer-guided dental implant placement. These advanced technologies help improve precision, patient comfort and treatment success for full-arch implant cases. Full-arch implant solutions may be ideal for one or both arches, when extensive tooth loss has occurred. The procedure typically involves the surgical placement of four to six implants, onto which a functional, esthetic prosthesis securely attaches. Dr. Van Scoyoc is excited to offer the benefits of tooth replacement with dental implants to Southern Pines, NC, and recommends replacing teeth as soon as possible to avoid further health concerns. Many patients experience improved self-confidence and quality of life when choosing dental implants in Southern Pines, NC. Implants offer long-term benefits, and are a permanent alternative to traditional dentures. While dentures rest atop the gums and are prone to slip, implants permanently integrate with the jaw bone. The connection between the bone and implants creates a solid biting and chewing function, offering unmatched stability over traditional dentures. Implants also look and feel more like natural teeth and promote bone preservation within the jaw. New patients interested in receiving full-arch dental implants in Southern Pines, NC, are invited to call 910-692-6270 to reserve a consultation with Dr. Van Scoyoc, or visit http://www.perionc.com for more information. Van Scoyoc Periodontics and Implants Center for Oral Health offers experienced periodontal treatments to patients in Southern Pines, NC. Dr. Steven Van Scoyoc is a board-certified periodontist, a Diplomate of the American Academy of Periodontology and the only dental specialist with this unique training in Moore County. 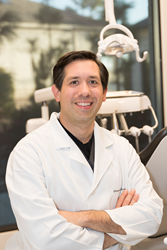 Dr. Van Scoyoc offers specialized periodontal services including single and full-arch dental implant care, laser gum disease treatment and gum recession solutions. Dr. Van Scoyoc and his team strive to build long-term relationships with each of their patients allowing them to understand their unique needs and goals. To learn more about Dr. Van Scoyoc, his practice or the services he offers, visit http://www.perionc.com or call 910-692-6270 to schedule a custom consultation.